Happy weekend everyone! I end this week with some inspirational images. 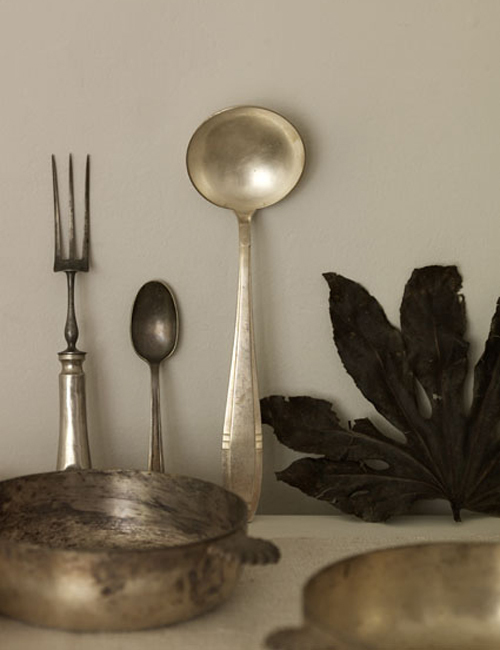 I love how silverware objects are used to style these gorgeous shots! Similar vintage items can be found on flea markets. At the moment I have two silver teapots in my Ebay shop (see here and here and see all items here). The silver matches very well with the colourful flowers. 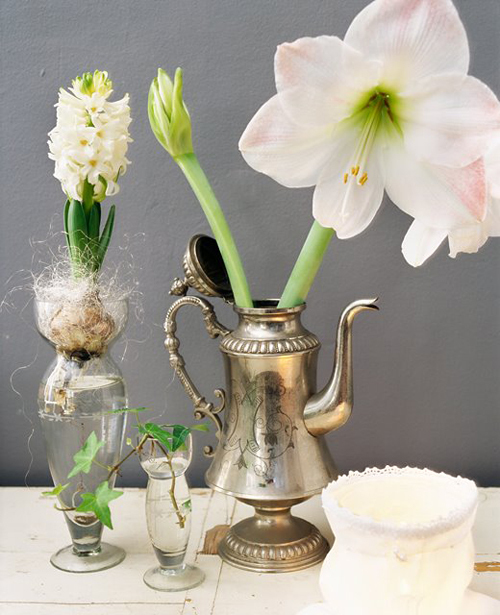 I also like the idea of using a silver teapot as a vase (top image). Hmm great minds think a like. 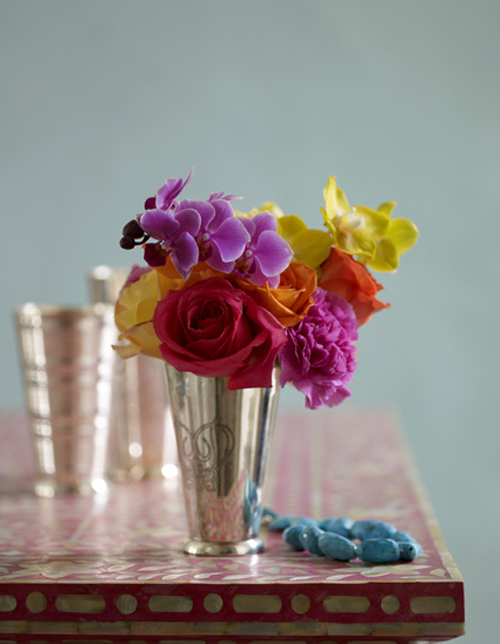 I was just putting together a post on silver vases/ cups used as vases. I love the contrast. 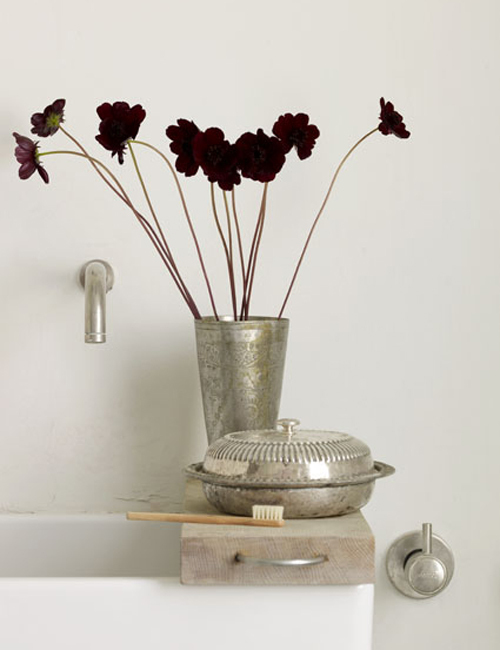 I love the styling of the second and fourth photographs – beautiful…! beautiful photographs! the third photograph with the colorful flowers has actually been in my inspiration folder for a while now.